Made of non-woven, non-laminated polypropylene material, this bag is useful for carrying a variety of products. This eco-friendly product is reusable, easy to clean, and recyclable. This reinforced stack-able 45 L. heavy-duty tough tote will handle any rigorous or extreme storage job. Comes with reinforced snap fit tough tote lid to secure and protect your valuables. Perfect for the meticulous organizer who demands the very best in heavy-duty storage and protection. Lockable to keep away unwanted intruders. If you're into extreme protection, this is the right choice for you. Honey-Can-Do VAC-01299 2-Pack Extra Large Vacuum-Packs (27.5"x40"). Vacuum-Packs are vacuum sealed storage bags designed for compacting and storing everything from large seasonal clothing to pillows, linens, and comforters. Simply place your items into the bag, attach any hose-style vacuum cleaner, and watch as the air is removed and items compress into a smaller, manageable pack. Honey-Can-Do Vacuum-Packs protect your stored items from dirt, insects, and moisture keeping contents fresh and damage-free. These units are reusable making them an excellent value. Let Honey-Can-Do help you get organized today. Efficient storage is what you'll get from these vacuum packs. The sealed storage bags compact and contain everything from seasonal clothing to linens. Simply place items into the bag, attach any hose-style vacuum cleaner, and watch as the air is removed and items compress into a smaller, manageable pack. Honey-Can-Do Vacuum-packs protect your stored items from dirt, insects, and moisture, keeping contents fresh and damage-free. These units are reusable making them an excellent value. 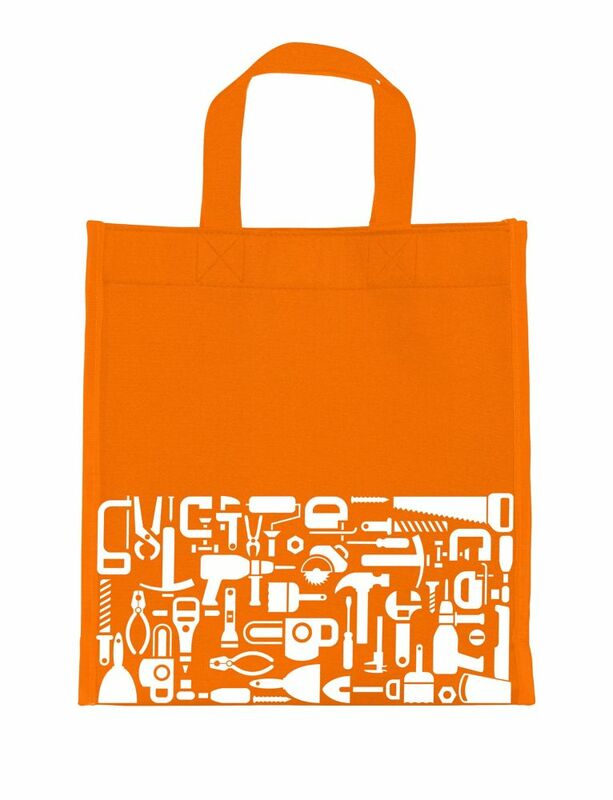 Basic Tool Reusable Eco Bag Made of non-woven, non-laminated polypropylene material, this bag is useful for carrying a variety of products. This eco-friendly product is reusable, easy to clean, and recyclable.